Inside the property there is an annex with pizza oven, relax / lunch area, whirlpool for 4 people covered and usable even in winter.. Billiard table, lift, heating to be paid on the spot (01/11-15/04), heating available only from 01/11-15/04. In case of 7 days stay a 3 hours mid stay cleaning is included in the price (tidying beds, bathrooms and ground floor), for a stay of 2 weeks or more a weekly change of linens and towels are included.. The villa is described as good value for money. 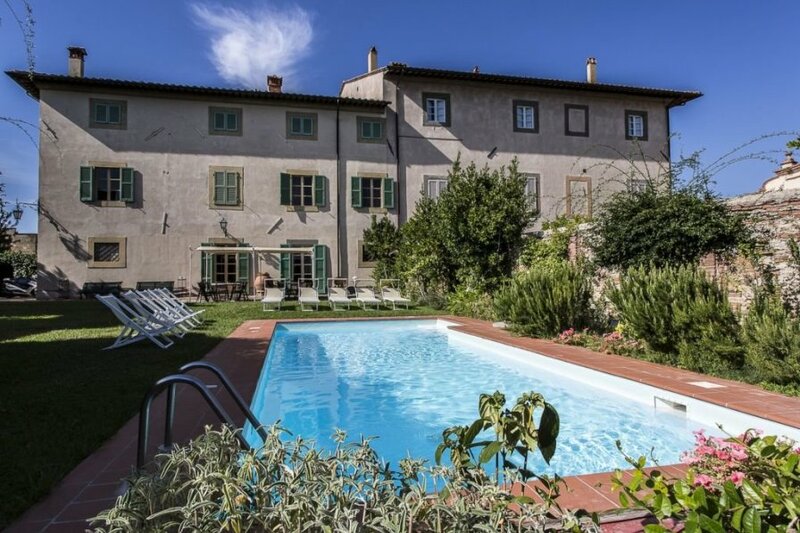 It has a private pool and a view of the countryside; it is also located in Cevoli. The nearest airport is only 36km away. It is set in a convenient location, 45km away from a beach. The villa has free wireless internet. You can also park on-site at no extra charge. The villa is well equipped: it has air conditioning, a dishwasher, a microwave, an oven, a washing machine and a freezer. It also has a BBQ and a garden.